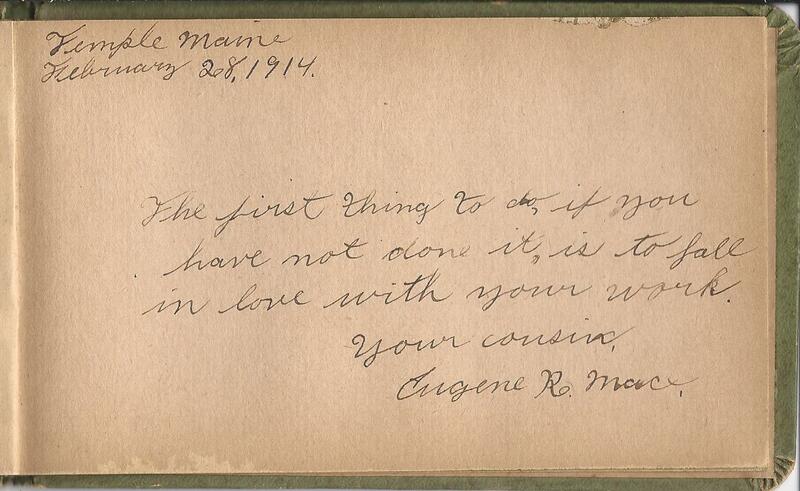 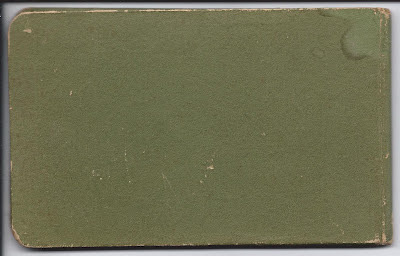 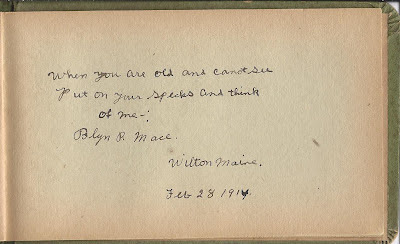 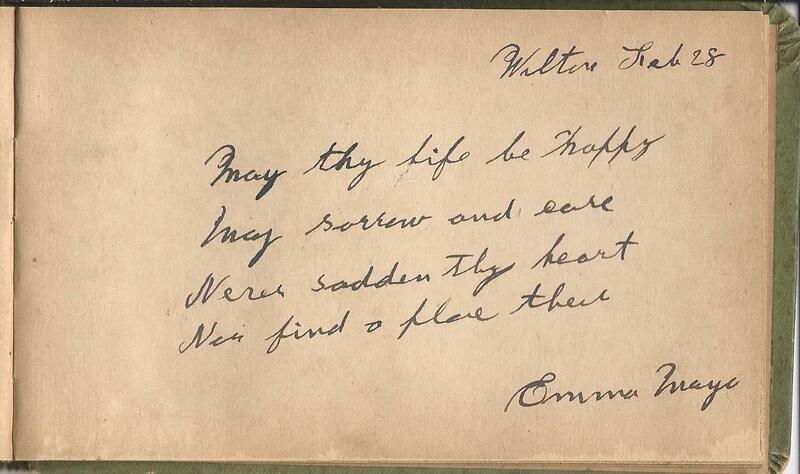 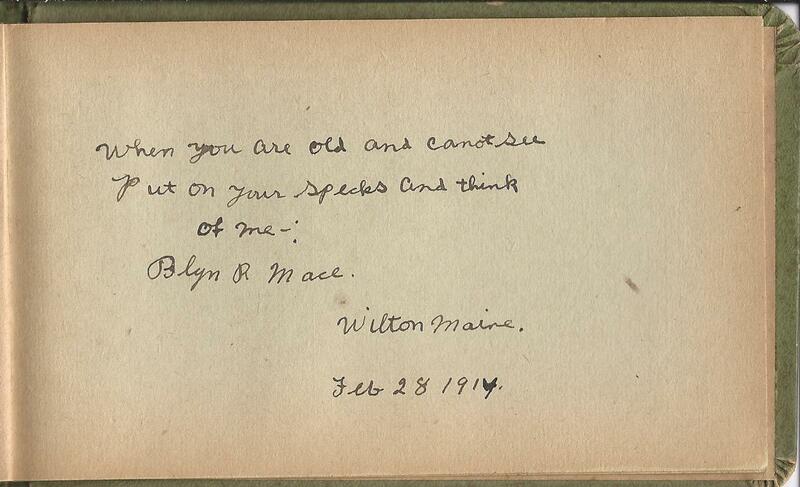 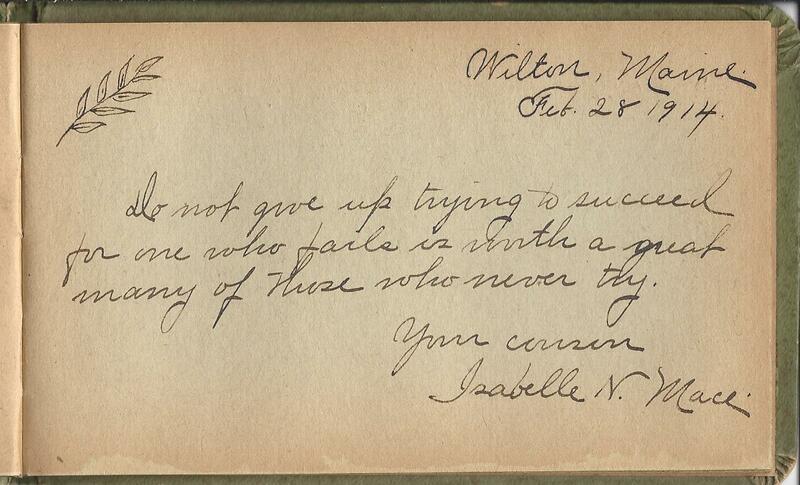 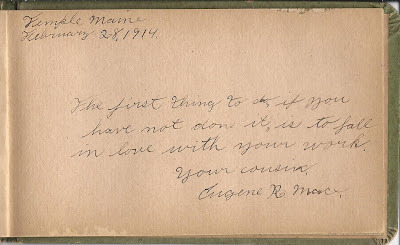 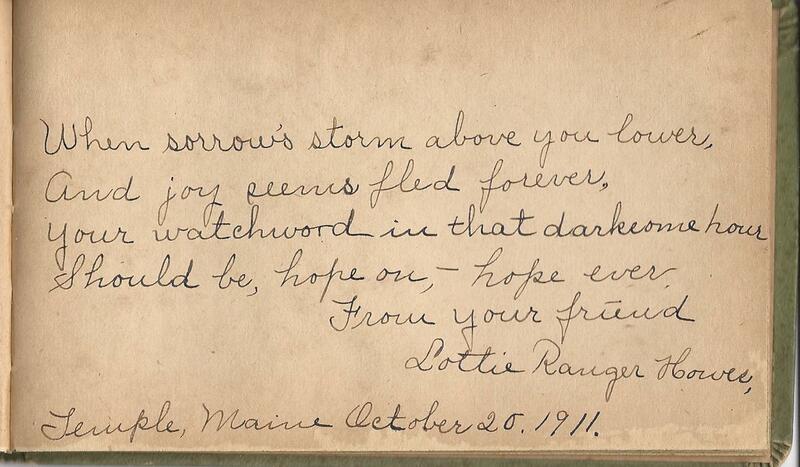 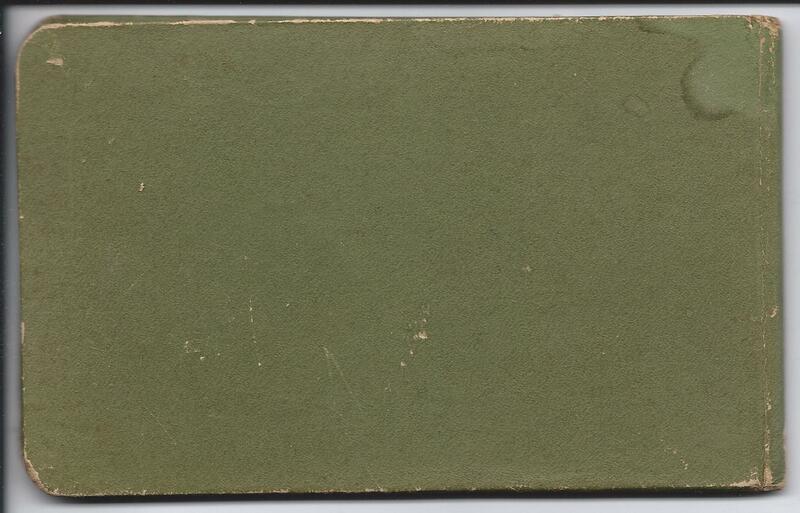 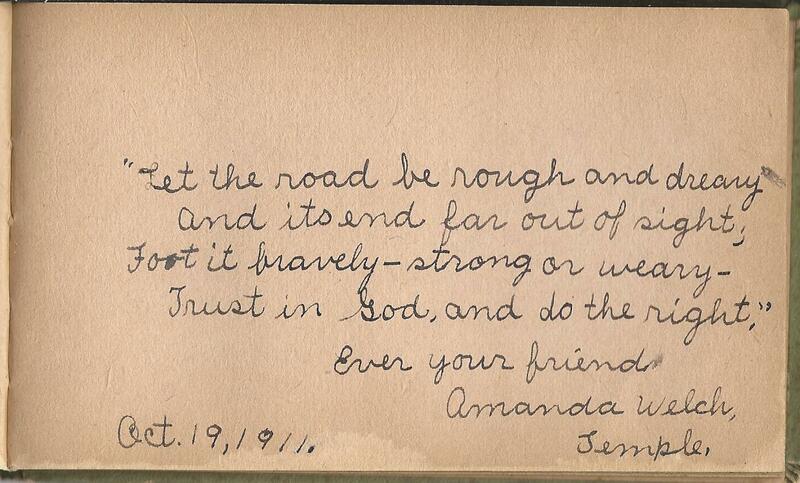 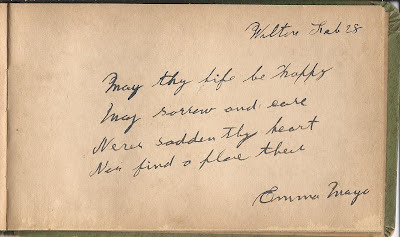 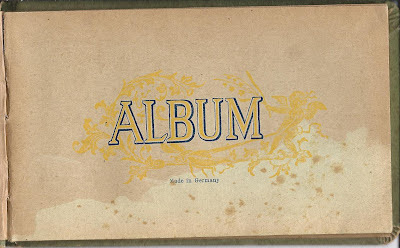 Autograph album of Gladys M. Russell of Temple, Maine. 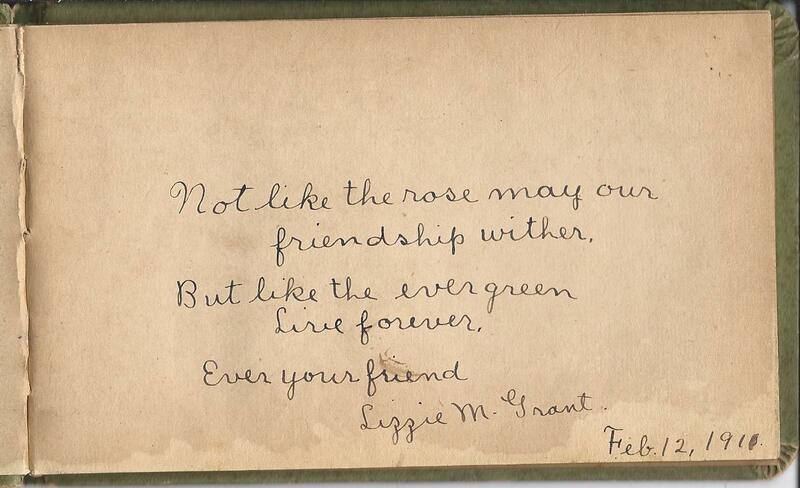 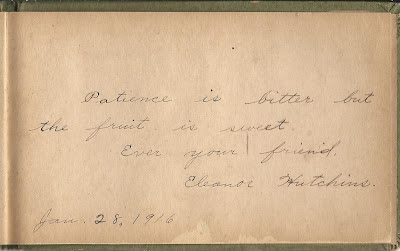 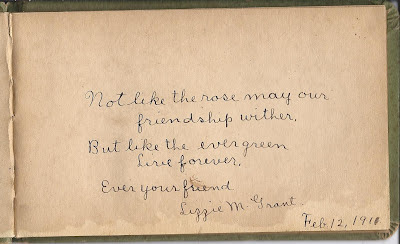 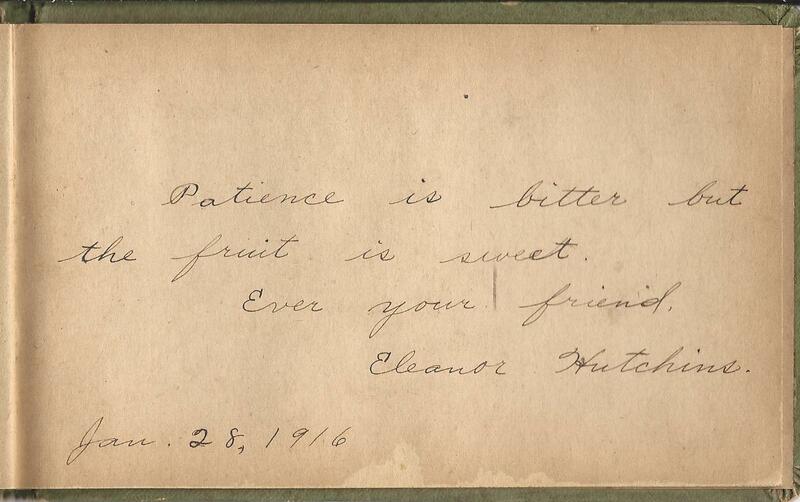 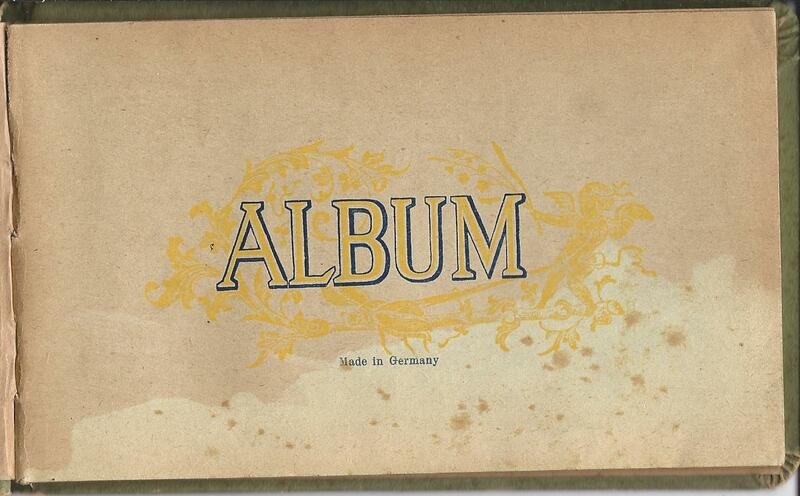 The album is approximately 6-1/4" x 4" and contains pages signed by 12 of Gladys' friends. 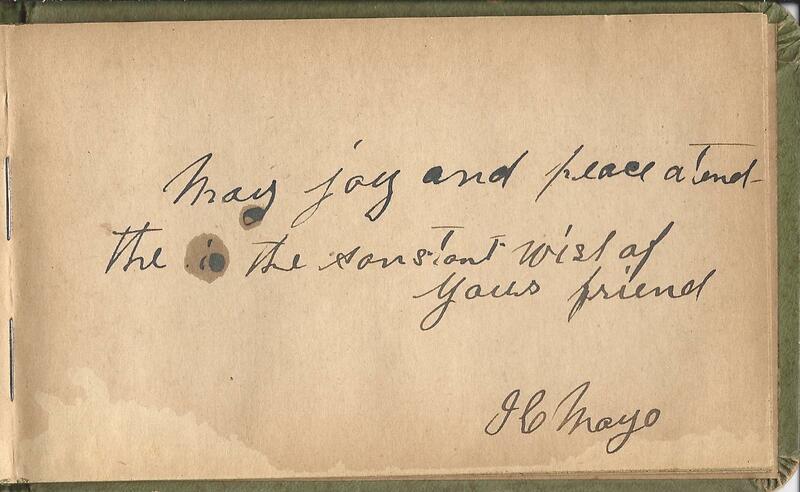 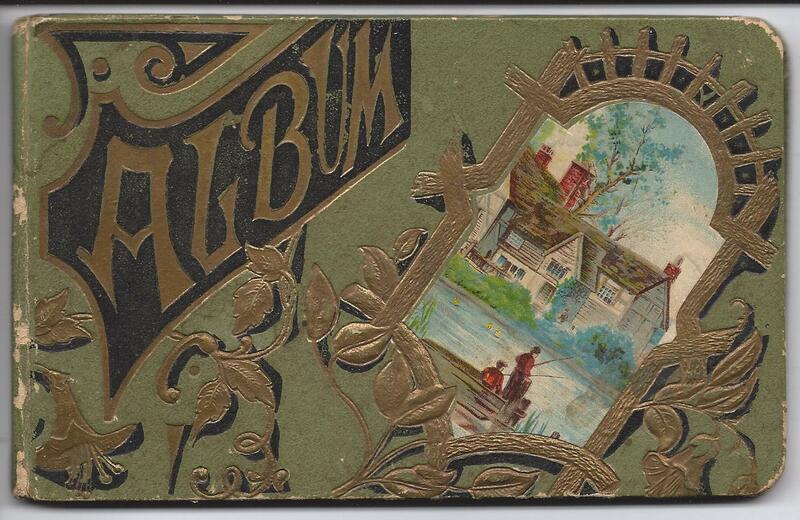 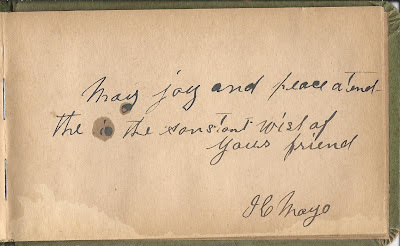 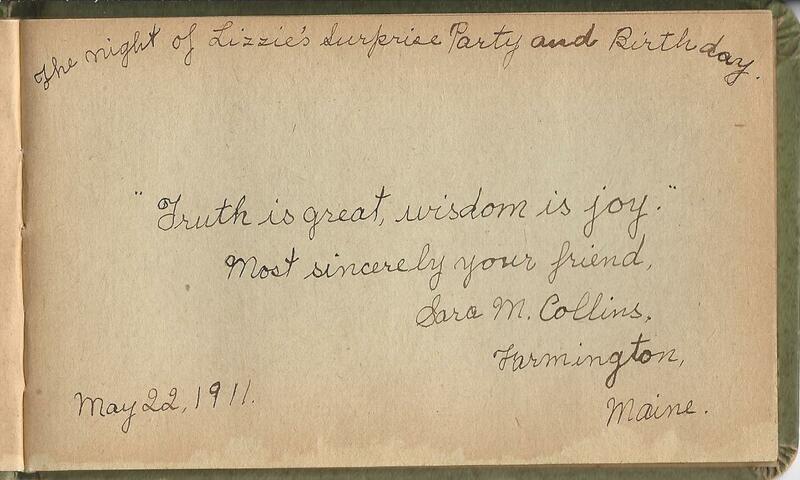 The inside front cover, above, shows that the album was given to Gladys by Amanda Welch as a Christmas present in 1910. 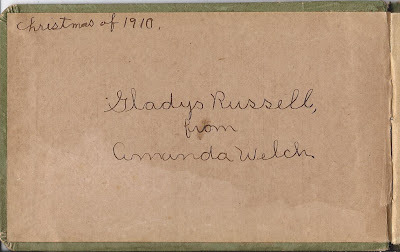 Gladys M. Russell was born 7 August 1898 at Temple, Maine, the daughter of Charles S. and Lilla M. (Collier) Russell, born in Temple, Maine, and Strong, Maine, respectively. 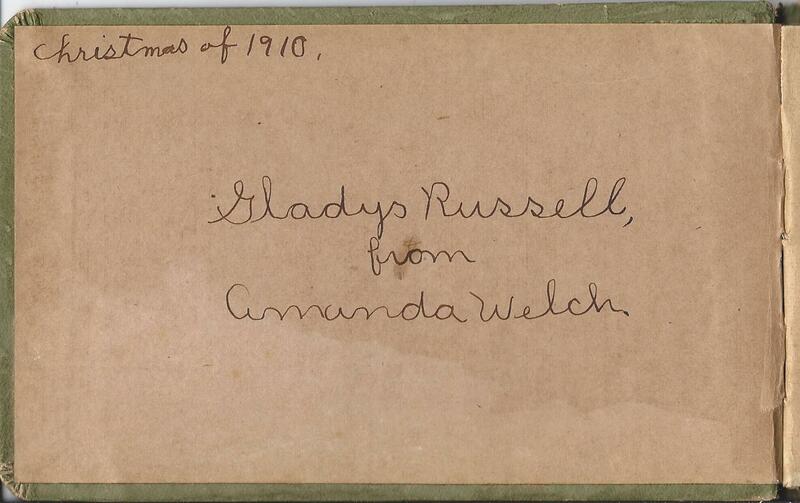 Gladys' paternal grandparents were Daniel B. and Aravilla (Locklin) Russell. 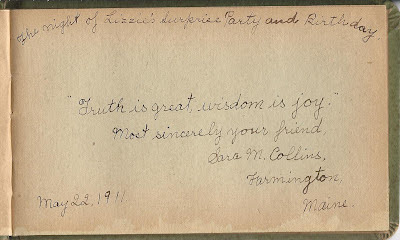 Her maternal grandparents were Eben and Elzina (Locklin) Collier. 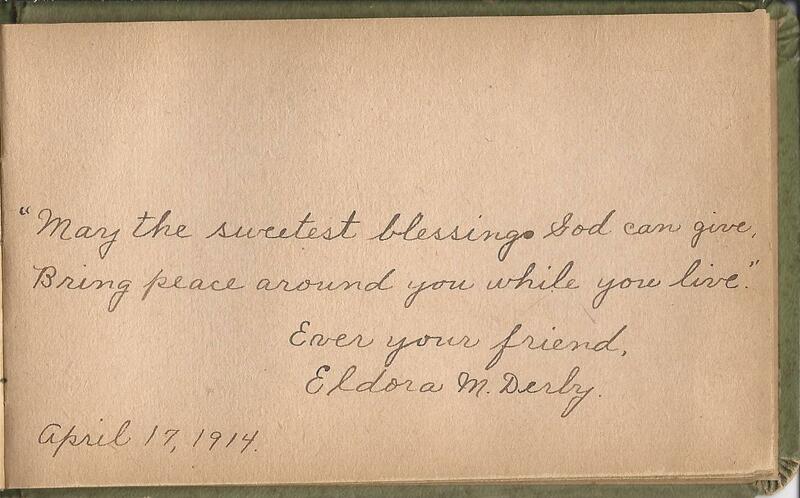 Gladys had a sister, Lura E. Russell, who married Clarence D. Wilber in 1919. 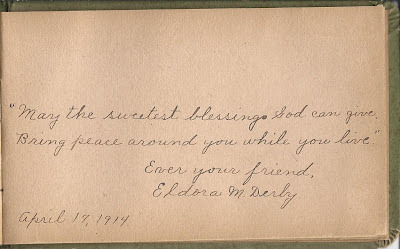 From what I could find online, I don't believe that Gladys ever married. 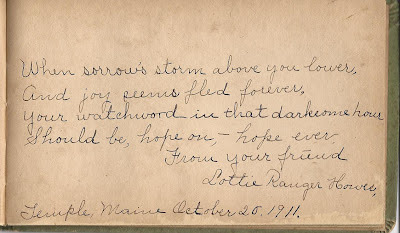 After a bit of searching, I found her in the 1940 Census of Farmington, Maine. 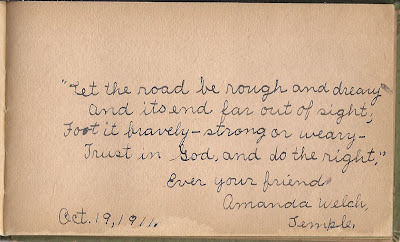 Gladys and her mother, by then a widow, were living together and working as poultry women at the town stand, if I'm reading correctly. 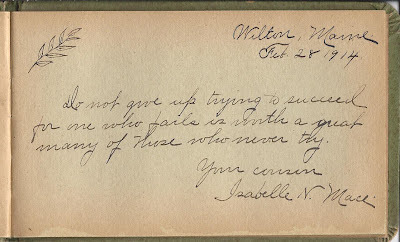 If you have any corrections or insights regarding the information provided on Gladys and her family, or on any of the other signers, please leave a comment or contact me directly.